An influx of homebuyers and a lack of housing inventory has early predictors naming this spring season a seller’s market. This is fantastic news for those looking to sell because it often means more offers at or above the asking price. However, since most sellers are also searching for their next home, many find themselves hesitating for fear that they won’t have a place to live once the sale is complete. In a perfect world, the sale of your current home and the closing of your new home would be timed perfectly. Unfortunately, this is not usually the case. Before you make the decision to list, meet with a real estate professional. They can help you figure out the conditions in your hyperlocal market, as well as the community in which you would like to relocate. 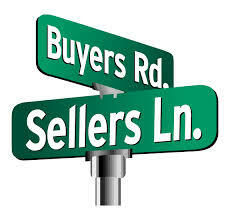 If you decide to sell your home before you purchase a new one, you can negotiate to rent it back from the buyers. This is a short-term option, as a rental lasting longer than 60 days becomes an investment property. If you purchase a new home before you sell your existing property, you can speak to a lender about qualifying for a bridge loan, a financing option that combines your payments for your current home and your next home into one loan. If you have a purchase contract on your current property but the closing on your new home is moving along at a faster pace, have your broker associate write in a home close contingency. This is a provision in a contract that makes the buyer purchase offer contingent on the sale of their own home.